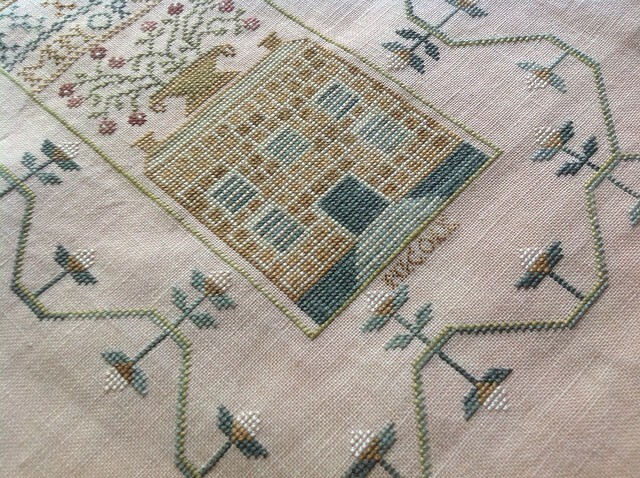 Nicole's Needlework: Sarah's House Finished! I decided to work on Sarah's House over the weekend to try to get it finished up. I put the last stitch in today. I don't know why I neglected it for so long. It didn't take long to finish once I got started again. The only change I made was I stitched the large alphabet in eyelet stitch like the original sampler. A lovely finish Nicole - it's beautiful! I love this!! I was debating after I saw a pic on the Country Sampler site, and yours just solidifies it for me! Must stitch! Great finish, Nicole! Oh it's so pretty, congrats on the finish!!!!!!!!!!!!! Beautiful - these colors are going to be beautiful in your home!! Congratulations on your finish! It's beautiful! You always select the perfect fabric to showcase the thread colors. Nice job!!!!! So, what's next??? Beautiful! The fabric, colors of threads and eyelets stitches look amazing. Congratulations - what a beautiful finish! Stunning. Love the colors and the eyelet alphabet is perfect! 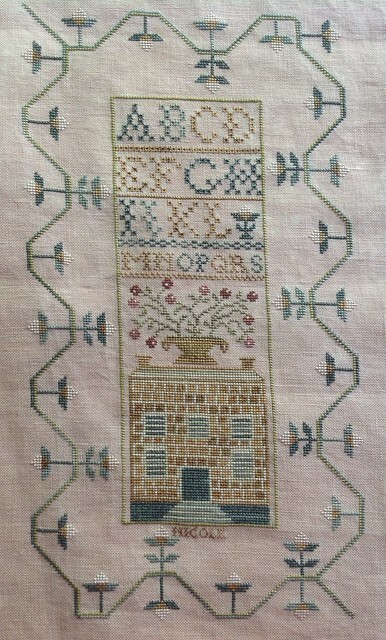 What a pretty sampler! The colors are so soft. I really love this, Nicole! I think the eyelet stitches look beautiful and would do the same, myself. Congratulations on another lovely finish!! It looks wonderful Nicole. 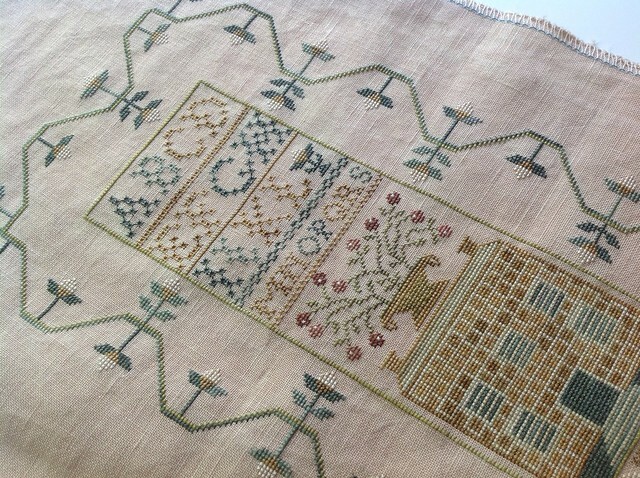 It's such a pretty sampler and I love the eyelet stitches. Those are one of my favorite stitches to do! !